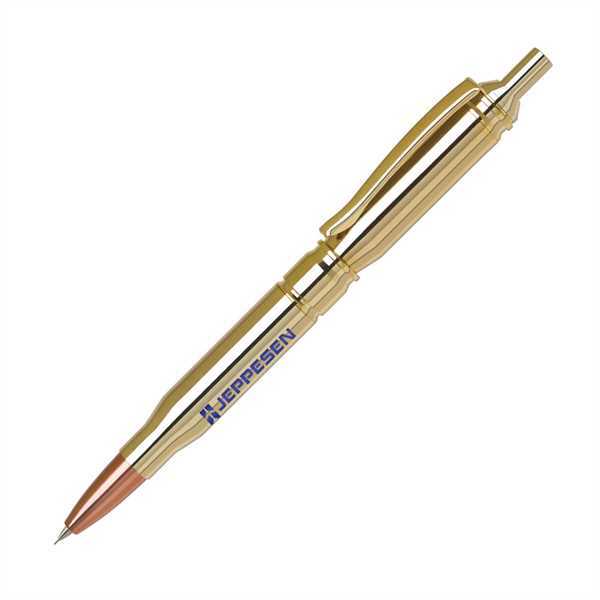 Aim for success when you include this bullet pencil in your next marketing campaign! The pencil features a polished gold plate finish, copper color points, solid brass construction, 0.7 mm lead and a click-action mechanism. You can customize it with your unique design, slogan or logo as a laser engraved or silkscreened imprint. Our imprint ink and barrel coatings are lead free. Leave a lasting impression on new and potential customers with a gorgeous writing instrument!